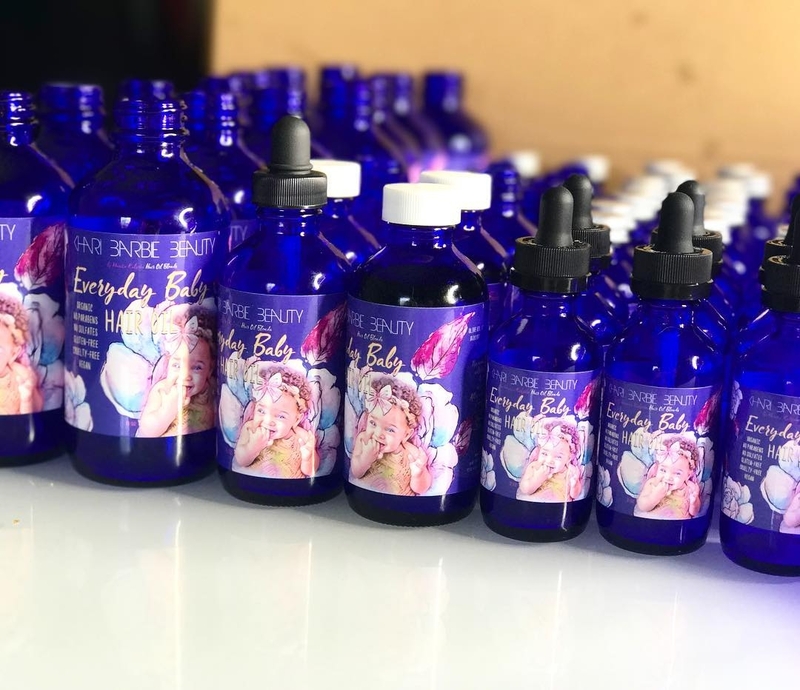 We were eager to tackle the challenge of creating the cutest product packaging and labeling for Khari Barbie Beauty’s best-selling Everyday Baby Hair Oil by Masika Kalysha. Being that we are completely obsessed with one of the world’s youngest Kidpreneurs, Khari Barbie Maxwell, we felt it was fitting to showcase an adorable, hand-drawn illustration of the product’s namesake, Khari Barbie, herself. Create a fun, colorful design for the box and label packaging for Khari Barbie Beauty Everyday Baby Hair Oil by Masika Kalysha. Assist with research and copywriting for content on labels and boxes. Include necessary badging, features, disclaimers, and ingredients in a way that made information clear, but didn’t clutter the design. Vectorize die lines for die plates and translate/configure artwork to technical specs for 3 different size bottles and boxes (2 oz., 4 oz., and 8 oz. formulas). Liaise between KBB and printers to ensure packaging is printed, struck, and scored perfectly.